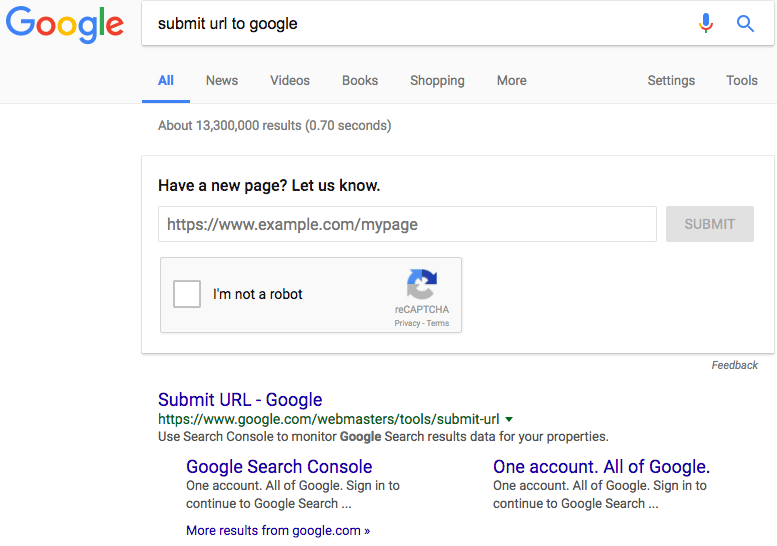 Go to Google and search for [submit URL to Google] and Google will place a box at the top of the search results that lets you plug in any URL you want and submit it to Google for indexing. In the past, you had to submit URLs to Google within the Google Search Console or at the submit URL form, now you can do it within the search results with little effort. After you submit the URL, Google responds with "Page submitted to Google Search." You can then submit a new URL. This was spotted by Naman Dwivedi and posted on Twitter.